ToeTotes products provide quality and individuality while serving an elegant role in orgnaization and shoe care. We use high quality materials and offer a handmade touch. 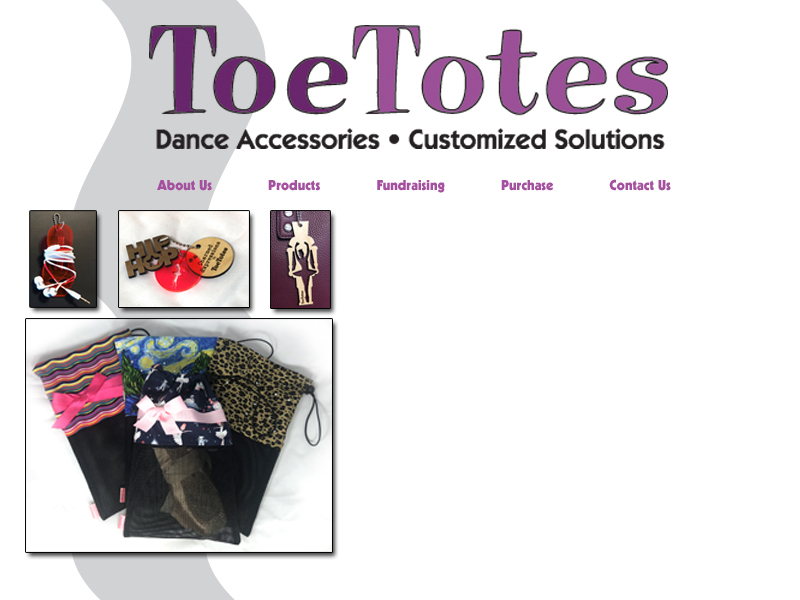 ToeTotes is owned by two sisters, Amy, the artist who creates the bags and Lesley, the dancer who sells and promotes them.